And finally, I’ll make the same task using hxbolts (few words about – it is pure haxe port of java library Bolts, which itself seems to be inspired by Task Parallel Library from dotNET). TL;DR – 🙂 Strongly typed, easy to use. Without all this async / await magic, but predictable and well tested. Today I will try to use hext-flow. Unfortunately version from haxelib don’t work anymore, so I used version from github instead (both hext-flow and hext-core). TL;DR – 🙁 Has no ability to chain promises, resolved and rejected values must be of the same type, promise can be resolved outside of creator function. This library hasn’t been updated for 2 years, and it seems that it’s designed for other purposes and not for those for whom I was trying to use it. Anyway, let’s try, because this lib (v1.0.6) has incredible haxelib downloads – 11586 (wow!). TL;DR – 🙁 As I thought, it is designed for other purposes, and can’t be used as Promises. This time I will try to use thx.promise v0.5.1. Pretty much haxelib downloads: 412. TL;DR – 😐 Easy to use, strongly typed with clean code. There are one thing (in my point of view it is an error, but I can provide arguments for both sides) in Promise.all(), which can be easily fixed. In this post I will try to use promhx v1.0.20. This library have impressive downloads count (6052) and github stars (91). TL;DR – 🙁 Must keep in mind certain aspects of work, or you can spend a lot of time to solve the problem. 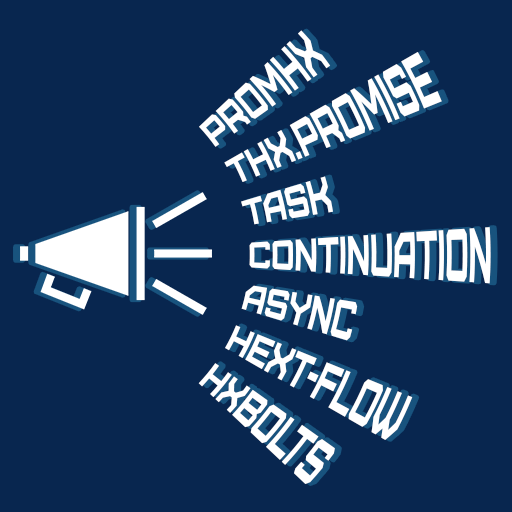 Seriously, there are numerous promise / async libraries for haxe, why we need another one? In series of posts I will try to do the same task using different libraries. Important note: I’m open to discussions on twitter or in comments here.